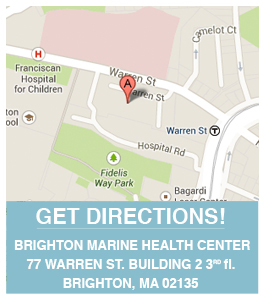 Pregnancy Help Boston-Alternatives-Free Pregnancy Tests-STD Tests-Free Sonograms-Ultrasounds-Post Abortion Help-Located in Brighton and Natick MA. Pregnancy Help serves anyone facing crisis pregnancy situations. Our staff of nurses and case workers is trained to give individualized care to help you through this difficult time. Please contact us to discuss your situation and receive free support. All services are free and strictly confidential. We are committed to serving all women, men, and families regardless of age, race, religion, ethnic background, living situation, and health or immigration status. Pregnancy Help is not a medical clinic and does not provide medical services under the direction and supervision of a licensed physician. Pregnancy Help does not perform or refer for abortions. We speak English, Spanish, and Portuguese. This location is currently closed. Please feel free to have a look around. We will be open soon! Abortion information, alternatives to abortion, free pregnancy tests, free limited ultrasounds, help with unintended/difficult pregnancies, pregnancy information/education, prenatal referrals, ongoing emotional/personalized support and support for adverse fetal diagnosis near Abington, Allston, Arlington, Boston, Braintree, Bridgewater, Brighton, Brockton, Brookline, Cambridge, Carver, Chelsea, Dorchester, East Bridgewater, Everett, Framingham, Jamaica Plain, Lakeville, Marlborough, Marshfield, Medford, Middleboro, Milford, Natick, Newton, Pembroke, Plymouth, Quincy, Randolph, Rockland, Roxbury, Somerville, Stoughton, Waltham, Waltham, Watertown, Weymouth, Whitman.